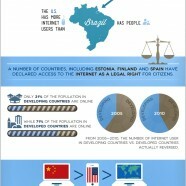 A breakdown of the global internet usage and access. Still nowadays internet access remains a wound for the developing countries. Nice volume corralations here.